David Brainerd's conch shell, 1740. Featuring objects from around the world, Journeys of Faith showcases the wide range of American Presbyterian mission work going back to the 18th century. The exhibit’s oldest item is a conch shell used by David Brainerd  to call Native American worshipers to service in the 1740s; its most recent a “Free the Hostages” pendant worn by Benjamin Weir in 1987. 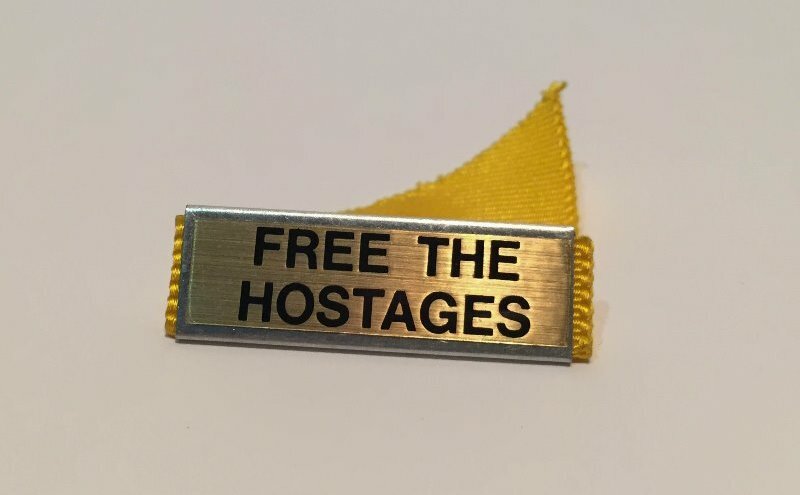 Benjamin Weir's pendant when he was PC(USA) moderator, 1987. Nancy Taylor, Director of Programs & Services at the Society, led the exhibit effort. "Most of the materials were donated directly to PHS by the missionaries themselves," Taylor said. "It’s an interesting mix of objects that they collected to document cultures different from their own and objects they actually used in the field." The idea to focus on three-dimensional objects had a two-dimensional origin. PHS staff noticed the popularity of recent social media posts devoted to items from the museum collection. Curating and displaying such items in-house seemed a natural next step after sending their digital images to cell phones and home computers across the nation. 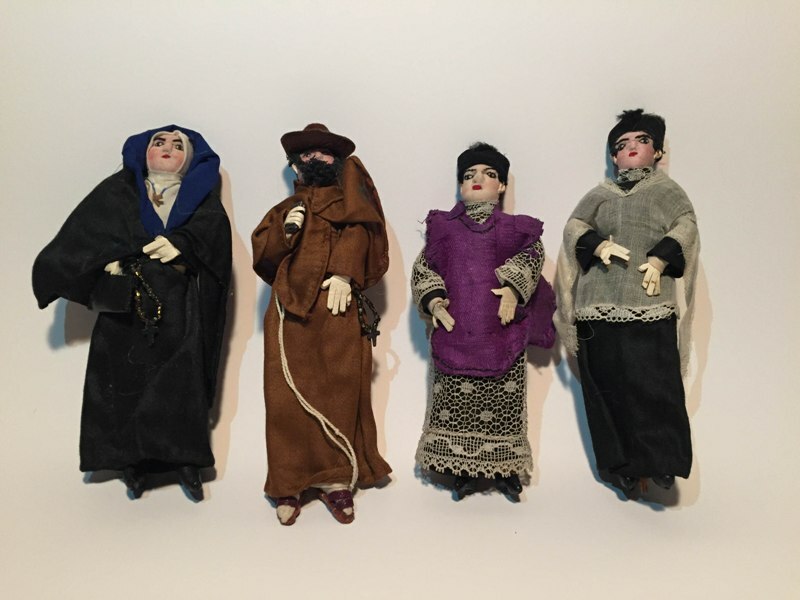 Religiously themed dolls, Venezuela, early 20th century. PHS safeguards museum items, media, and documents from dozens of countries where Presbyterian missionaries followed the call of the Great Commission  to “make disciples of all nations, baptizing them in the name of the Father and of the Son and of the Holy Spirit” (Matthew 28:19). For this exhibit, seven geographic areas from five continents were chosen: the Congo and Gabon from West Africa, Japan, Lebanon, Venezuela, and American frontiers. Explanatory text accompanies the items, providing background information about individual missionaries and regional histories. 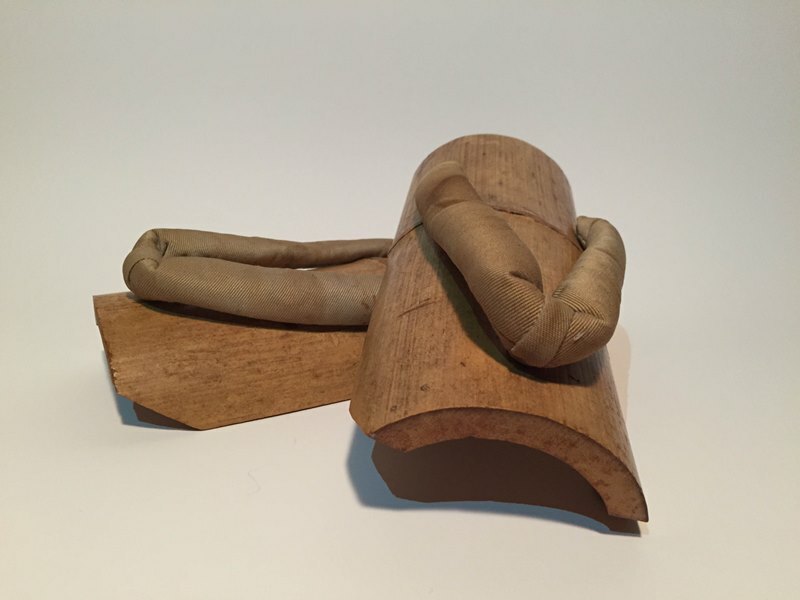 Many items immediately stand out—small musical instruments, ceremonial weaponry, bamboo ice skates, delicately wrought children’s dolls, decorative Native American bags. Others come to life through the stories of the missionaries who used them. PHS volunteer Sue Althouse, a 38-year missionary to Japan, donated ceramic and plastic teacups used on Japanese trains. A flip-flop worn by Benjamin Weir  during his captivity in Beirut grounds the ordeal of his 16-month forced separation from his wife. Bamboo skates, Japan, mid-20th century. 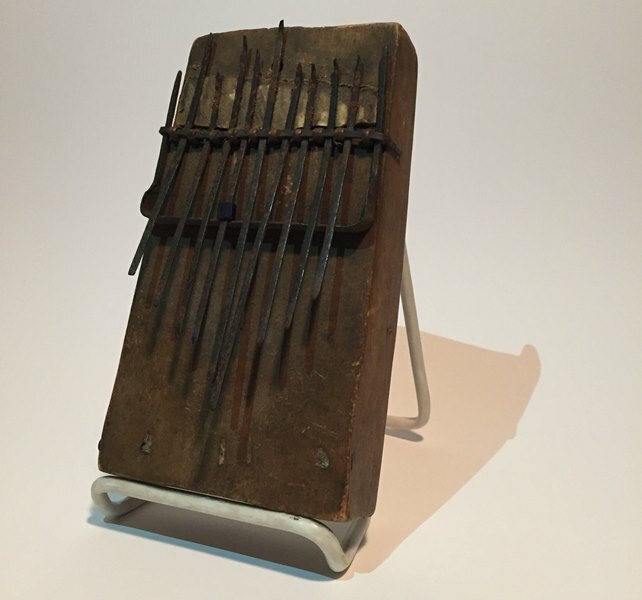 Thumb organ, Congo, late 19th century. Journeys of Faith: Artifacts from the Mission Field is free and open to the public through 2016, with an online version to launch in the coming months. Visitors to the Society’s Fall Open House  on October 16 can explore the exhibit while listening to “Cornelia ,” a newly restored Sunday school missionary’s field organ. One song certain to be played is a sacred music composition by Samuel Barber, “Chorale for a New Organ.” Westminster Presbyterian Church in West Chester, PA, where Barber learned to play the organ, is placing the original score on deposit at PHS.